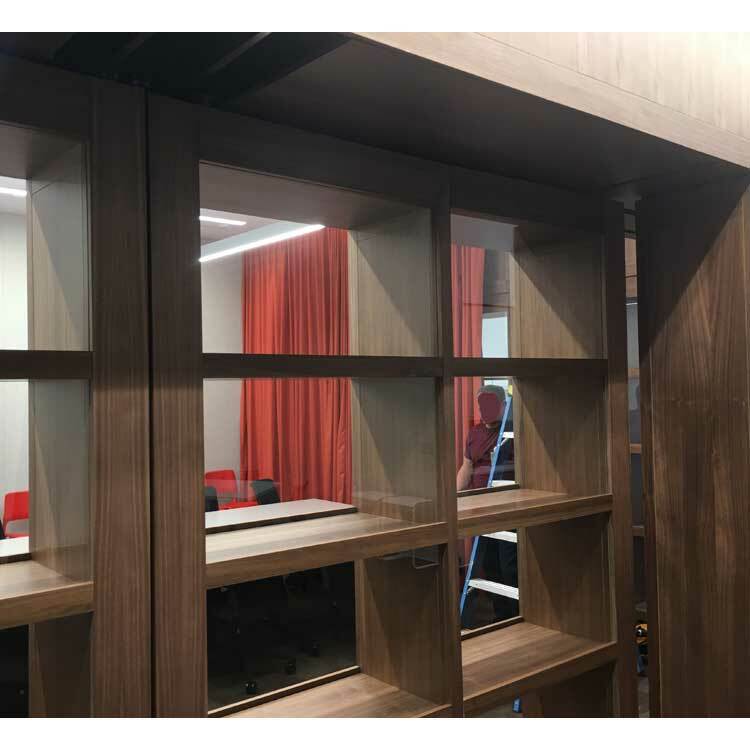 (1 Pair) of concealed hardware systems for sliding bookcases in a conference room. Using #25 hardware each book case pulls into the room and then to the side to open up the conference room to the rest of the floor, allowing access. Hardware and installation by crown industrial. Closed Position: Exterior Elevation View Looking into conference room. One movable bookcase and one stationary bookcase. The moveable bookcase is on the right, while the stationary bookcase is to the left. 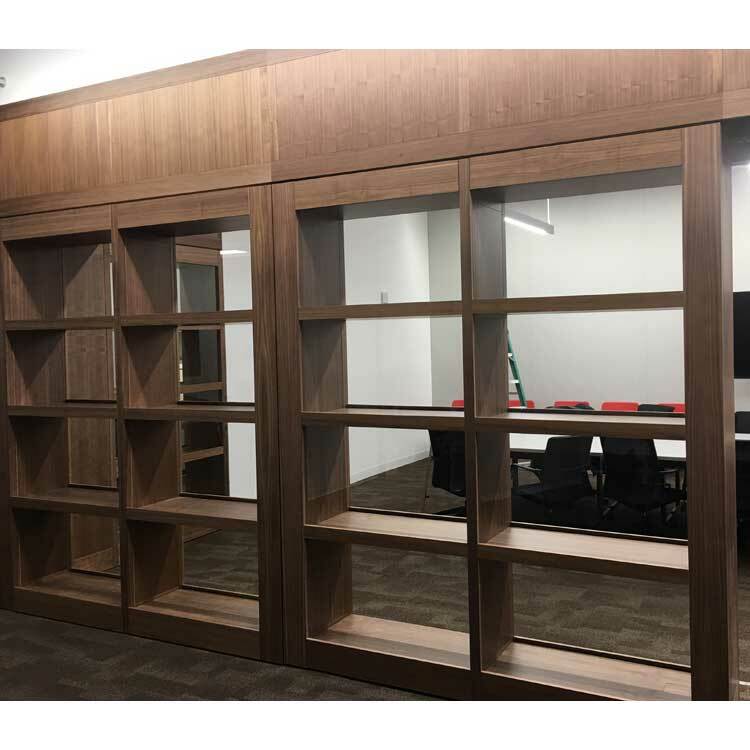 The movable bookcase is in theclosed position, note the exterior face of the movable bookcase is aligned with the face of the stationary bookcase. Zoomed in view of the bookcase in the closed position. Transitioning From Closed to Open Position Exterior Elevation. 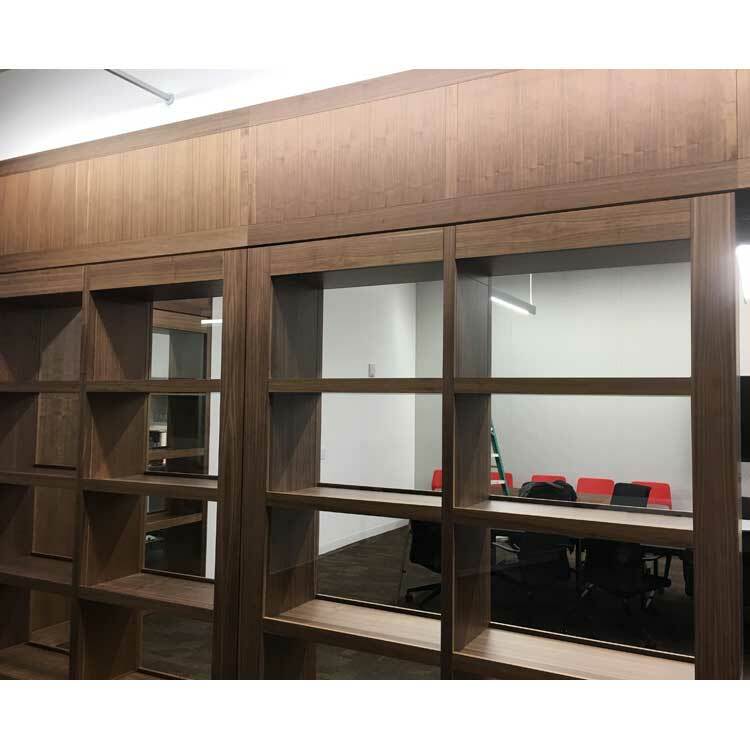 Here you can see both movable bookcases. 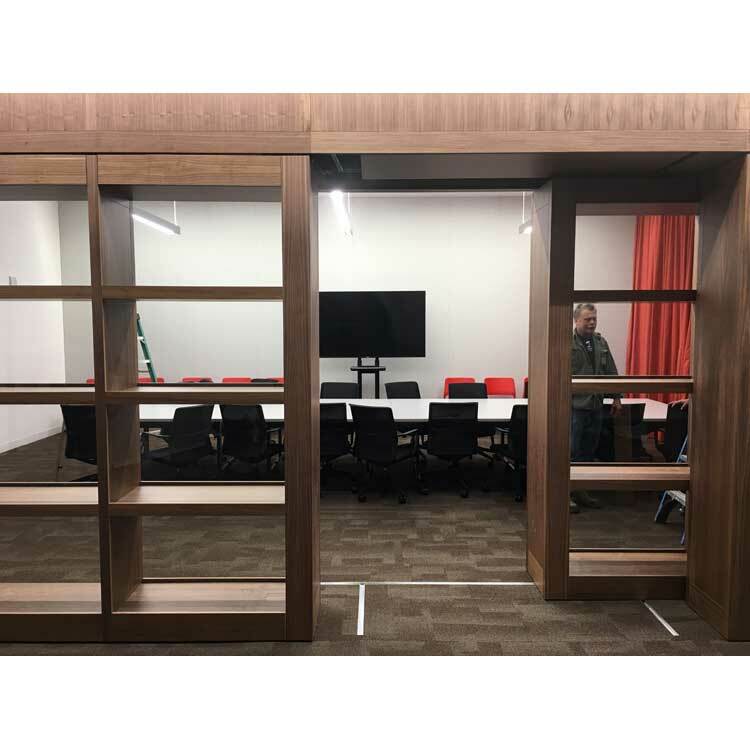 They have been pushed into the conference room and are clear to slide in front of the stationary bookcases to allow access to the conference room. Transitioning From Closed to Open Position Exterior Elevation Detailed View. 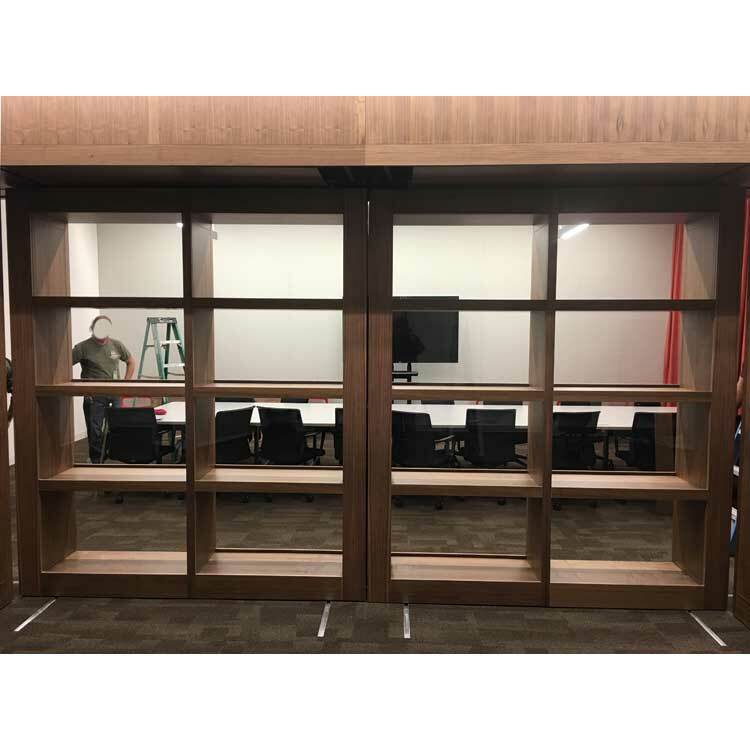 The movable bookcase has been pushed into the conference room and is clear to slide in front of the stationary bookcase. Exterior Elevation: Moveable bookcase on left is in the closed position. The moveable bookcase on the right is sliding into the full open position in front of the stationary bookcase.